Butlers Chocolates are giving away a premium chocolate goody bag to help celebrate the arrival of the Easter Bunny. 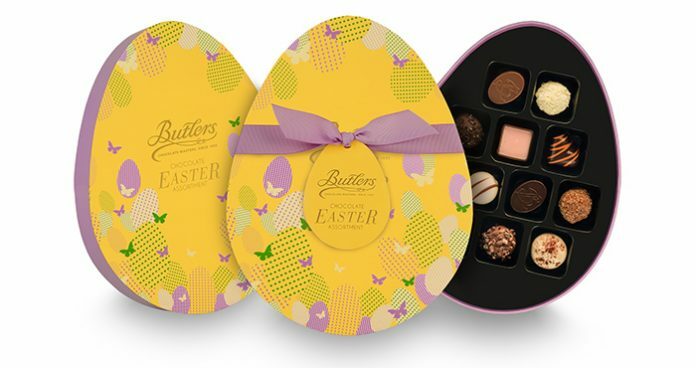 Butlers Chocolates, Irish family-owned chocolate masters since 1932, have unveiled a stunning collection of Easter eggs and luxury chocolate treats, elegantly presented in special keepsake tins and presentation boxes, with elegant ribbons and lustrous wrapping. With something for chocolate lovers of all ages, Butlers luxurious Easter gift selections are sure to put a ‘spring’ in everyone’s step this Easter. Butlers Easter collection is available from Butlers Chocolate Cafés in Dublin, Cork, Limerick and Galway, online at www.butlerschocolates.com and selected retailers nationwide. For a chance to win a delicious Butlers Chocolates goody bag, fill in the form below. 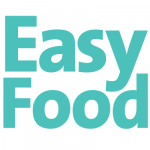 Would you like to receive delicious recipes & kitchen tips from Easy Food by email? Yes, I would love to receive recipes & tips. Are you interested in gluten-free content? You can change your mind at any time by clicking the unsubscribe link in the footer of any email you receive from us. We will never share your details with third parties and will treat your information with respect. Terms and conditions apply. Competition closes 29th April. Previous articleWin a hamper of artisan Burren Smokehouse products!